Everything you need to know about Far Cry 5. Far Cry 5 is an upcoming shooter from Ubisoft, following up from Far Cry Primal where you walloped prehistoric wildlife. Far Cry 5 now allows you to make your own custom character and places you in the exotic setting of the American midwest, then asks you take on a group of challenging enemies. Following the release of Far Cry Primal in 2016, Ubisoft allowed the next Far Cry title to take some extra development time and would next speak of it during their same financial call that revealed The Crew 2 and Assassin’s Creed Origins. As one big Ubisoft core team effort, the title is being worked on with Ubisoft Montreal as the lead studio with sister teams Ubisoft Toronto, Kiex, Shanghai, and Reflections helping out. The team would decide on Montana as a setting due to it’s location in the frontier of America, and much like they did with Nepal during Far Cry 4, made a 14 day trip to the state to study the environment of the area to capture it as authentically as possible. Dan Hay, who was the lead producer on Far Cry 3 is producing. Inspired by a childhood under the cold war, the operative word of the game became “separatism”, and Hay would research the details of events such as the Malheur National Wildlife Refuge Occupation as he searched for the seeds of seperatism. Dan Romer is the writer and composer for much of the music in the game, however licensed tracks is used while operating vehicles. To tie the music to the narrative and nature of the antagonists, Romer adopted a different style to get the message across, coloring it with different styles as the player enters different areas controlled by lesser antagonists, such as Country, Industrial and Glam rock. 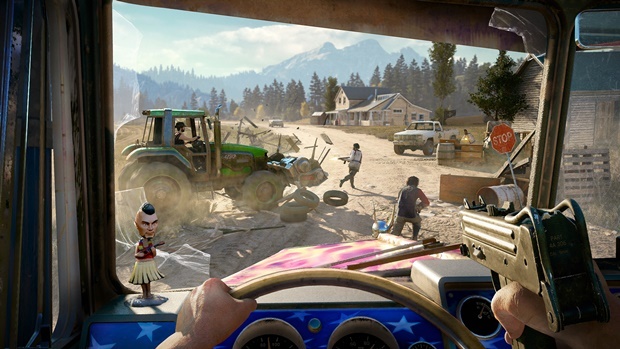 Far Cry 5 sets players and their customized avatars against Joseph Seed and his group, as the antagonist outwardly says he hopes to protect the people from some unknown collapse. Seed leads his militaristic team, with help of his siblings as lieutenants. They’ve been causing violence and spreading fear to terrify the residents of the fictional Hope County, Montana. The player is a sheriff’s deputy and part of a task force planning to arrest Seed, and will meet up with a large cast of characters who can be recruited into the effort to free the people of Hope County, such as a crop duster pilot. Far Cry 5 is expected to be an Ubisoft iconic sandbox shooter with an open world environment, just like all its predecessors before. The player will explore the game world either on foot or with a vehicle, discovering missions, landmarks and collectables, crafting better gear and gaining experience as they go. The game will have a large suite of weapons and explosives to use, but is said to put a new focus on melee combat with a wider assortment of close range weapons. 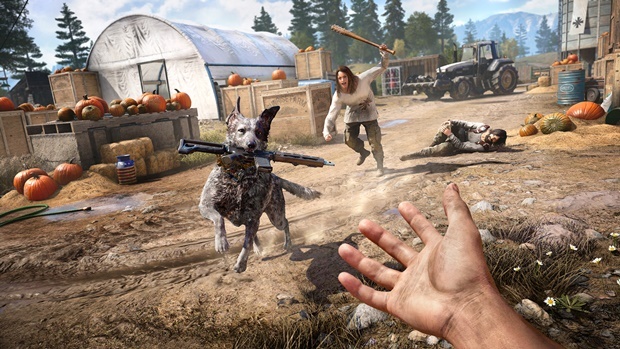 Borrowing from both the Far Cry 2 Buddy system and the Far Cry Primal animal system, the Guns for Hire system partners the player with a recruited NPC who can assist with missions with each having their own specific skills, abilities and flavour lines, while players can also use the wildlife through Fangs for Hire, with each animal having different combat abilities and behaviours. The campaign can, like Far Cry 4, be taken on cooperatively with a second player. Far Cry 5 also allows for a far greater level of customization as well. Players create their own character, deciding on gender, skin tone, appearance and clothing options, taking on the role of the sheriffs deputy as they work to take down the enemies. The player will further customize and they choose how they climb different skill trees and upgrade weapons. The game will bring back the Map editor in an expanded version from previous games. In Far Cry 5, there are several major players on both sides that we know about. Fighting against antagonist Seed and his group, and those under his control. We only know a few bits a pieces about them for now though. 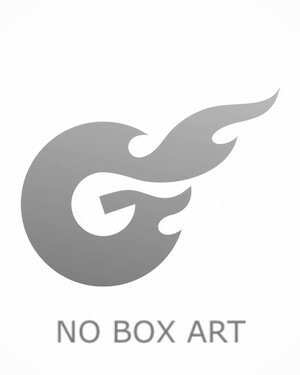 The custom avatar of the player can be whatever the player wants – Man or woman, various skin tones, ages, and looks. They’re the Sheriff’s deputy, helping the task force take back Hope County from the enemy. During the player’s journey through Hope County, they’ll recruit a variety of different people who want to rebel against the the enemy group for their own reasons. On the other side, Joseph Seed is a conman who poses as the protector of the people of Hope County, promising to keep them from some generalized collapse which will spell their doom. He builds his organization under these pretences, but in reality wants to control the area and its inhabitants, and troubles the good people of the county. Seed counts on his fellow enemies, which help him keep the people under control. John is a lawyer who has been able to curtail the law to acquire the land that the enemy organization occupies. Faith is his sister, and acts as a rebellion force and gain the trust = of the people. Meanwhile, Jacob is a former military officer who acts as the general of the enemy forces.